To keep your lawn green and healthy, watering is one of the first things that you need to learn. Unlike other plants, grass requires another method and process of watering. Once you understand it, your lawn will keep growing and become as green as your wish. Check some watering guideline below and check whether your understanding about watering lawns is correct. When Do We Need To Water Lawn? How Do We Water Our Lawn? When Do We Need To Water Lawn? This is a very important question. Like said above, grasses are not like other plants. Instead of being in sleep mode, grass will continue to grow when there is water. I know that you do not want your lawn in a wet situation which can cause grass’s disease. That means we should choose the proper time to water, so that after watering, your lawn will have enough time to dry out. Therefore, the best time for watering is the early morning before sunrise. In this early morning, water has enough time to absorb deeply into the soil. Then the sun comes up, and the weather is warmer. That is the moment when water left on the surface evaporates. If you have automatic sprinklers, set it for about 5 am in the morning on a sunny day. Even in the winter, keep watering the lawn during the winter, as the humidity may be very low in some regions. 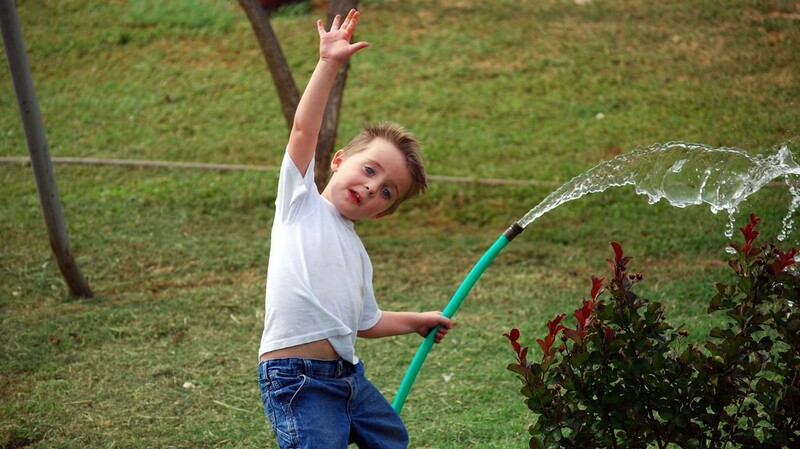 Therefore, the next question is how often we should water the lawn. Well, it depends on the grass type, soil type and weather condition. After we know more information, we can decide our own watering schedule. Generally, gardeners could water 2 or 3 times per week. This schedule enhances the grass’s life by making a strong root system. If it is hard to determine schedule for your lawn, you can ask a local farmer for advice. There is a trick to determine when to water the grass. It's when your grass shows some signs of stress. By seeing your footprints or mower tracks on the grass, if it shows longer than 30 minutes, then you know it is time for watering. On the other hand, you can find out by checking the soil. Simply, use a screwdriver. If it cannot penetrate deeper than 5 inches, it means the soil is too dry. A few hours after watering, repeat these tricks in order to verify whether all is well with your soil. Once you get familiar with the condition of your lawn, you will know the signs of stress just by seeing its color. How Do We Water Our Lawn? For this question, we are looking for the answers on the amount of water we need to use for watering the grass. Indeed, we cannot just water for an hour in the early morning and think that it could dry out by the afternoon. In fact, the amount of water depends on many factors: grass type, weather condition in each region, weather condition in each season, soil type and more. So if you are still a novice to this, then be careful! Your goal is to help the water soak into the soil from 4 to 6 inches. Therefore, if your soil is a sandy type, then watering ½ inch of water will be fine. In addition, if it is clay soil, 1 inch of water is sufficient. Before watering, check your soil first to see if it is actually a sandy or clay type. You can find out for yourself by using a screwdriver or trowel or simply just asking the gardeners around your area right at the first moment. 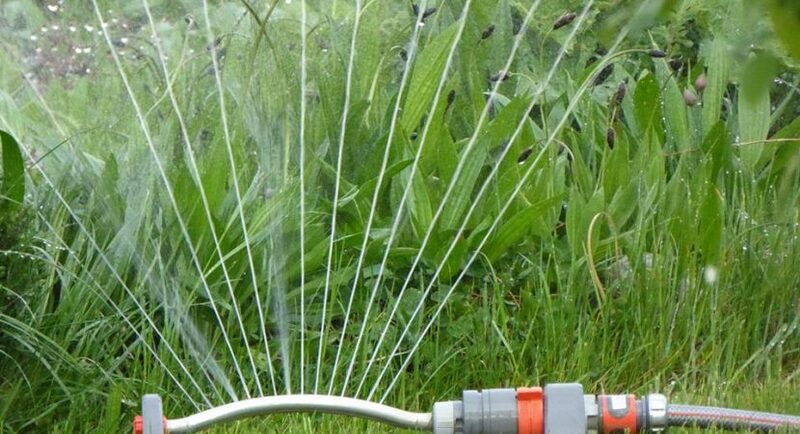 When watering, we also need to pay attention to its soaking rate. From the beginning, just start with a slow rate to see how fast the water soaks into soil, and then turn the hydrant on to a higher rate if it is necessary. If you water with automatic sprinklers, then you can set to the alternate mode. Let the sprinkler do its job for about 10 to 15 minutes. After that, turn it off for 10 minutes and finally turn it on again for another 10 or 15 minutes. This will give water time to absorb to your lawn and prevent water to run off the street. Usually, the total time for watering it is about 30 minutes for each time of watering. Many things could happen when watering. We had a short conversation with several experienced farmers and gardeners in order to get some practical tips and understand real circustances when watering. 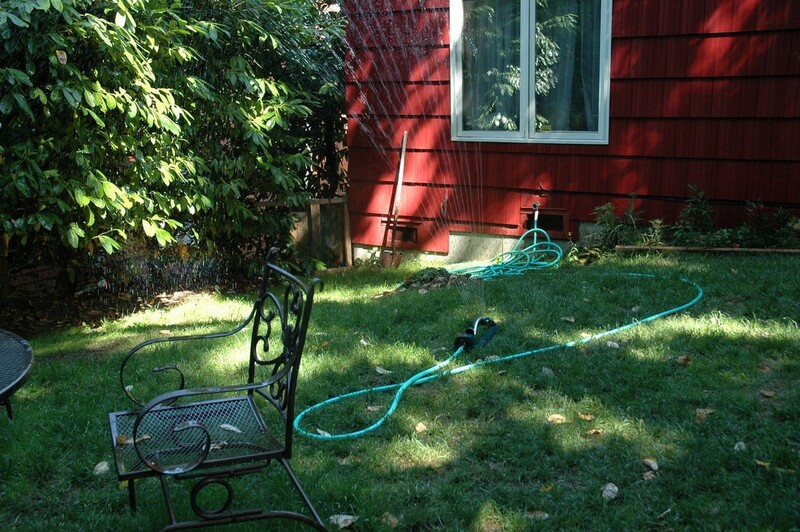 Watering is very important, and it could decide the lawn’s health. If you water with an improper schedule or at the wrong moment of the day, weeds, bugs or moss could develop faster and destroy your grass from its roots. Therefore, you might rather let your lawn stress for few days to figure out the proper water schedule than water your lawn incorrectly. Water effectively! Sometimes, the water soaks well into the soil for about 5 to 6 inches. However, maybe due to high temperature, the grass becomes stressful and the soil’s surface dries quickly. At this moment, you just need to spray a little water for about 15 to 30 seconds, so that grass has enough moisture to cool down and relieve stress. Do not water again for 20 minutes as it provides too much water for the soil, and this could damage roots of grass. Lack of water doesn't always cause a dry, brown area. Sometimes, other problems such as bugs, fungus or construction debris can damage grass too. Therefore, if watering the brown area does not solve the problem, then you should talk to the professional gardeners or farmers for advice. Besides watering, you should also have a proper plan for fertilizing and mowing to maintain a good condition for your lawn. You could buy some types of lawn mowe﻿r such as reel lawn mower, self propelled lawn mower to be proactive in this task. We have already published a useful article to review the best push mower 2018 and the best riding lawn mower 2018 on our website in case you need a reference source to buy a lawn mower. Check it out! 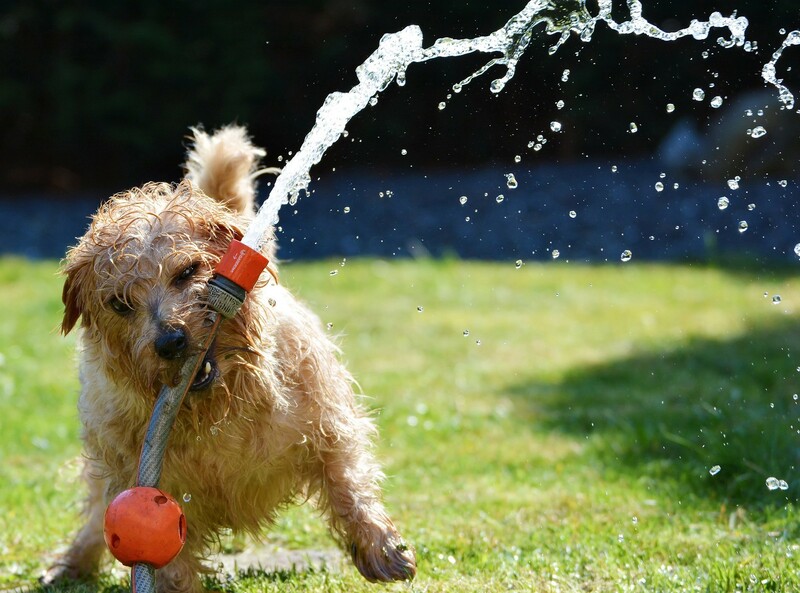 Watering your lawn is not hard! However, we need to understand our lawn’s conditions such as the soil type, weather condition, and grass type to create a good watering schedule. After the hard part is done, then your job will become easier. How To Treat Your Burned Out Lawn?